The first documented evidence of Bach's engagement with the concerto genre can be dated to around 1709, during his second period in Weimar, when he made a hand copy of the continuo part of Albinoni's Sinfonie e concerti a 5, Op. 2 (1700). Earlier compositions had been brought back to Weimar from Italy by the deputy Capellmeister, Johann Wilhelm Drese, during his stay there in 1702–1703. In 1709 the virtuoso violinist Johann Georg Pisendel visited Weimar: he had studied with Torelli and is likely to have acquainted Bach with more of the Italian concerto repertoire. 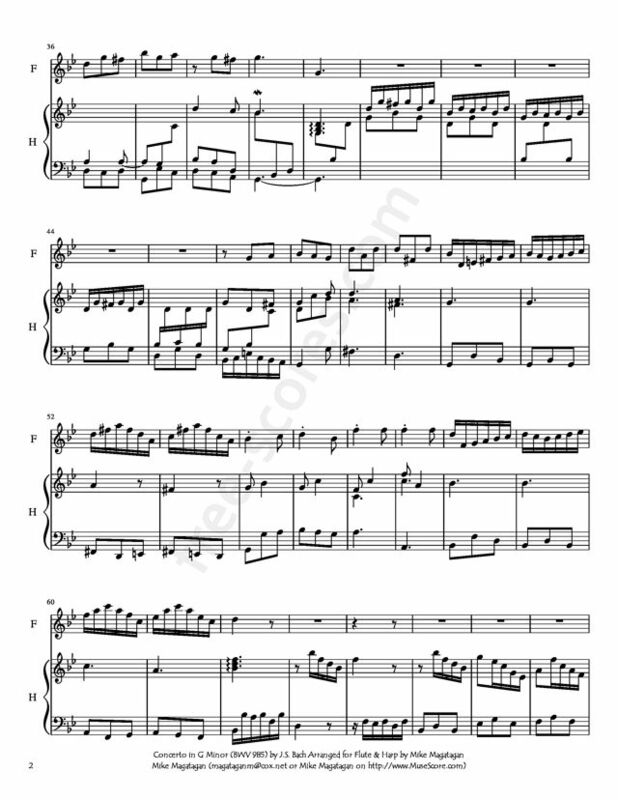 In the same year Bach also copied out all the parts of the double violin concerto in G major, TWV 52:G2, of Georg Philipp Telemann, a work that he might have acquired through Pisendel. Bach would also have known Telemann well then since he was court musician at Eisenach, Bach's birthplace. 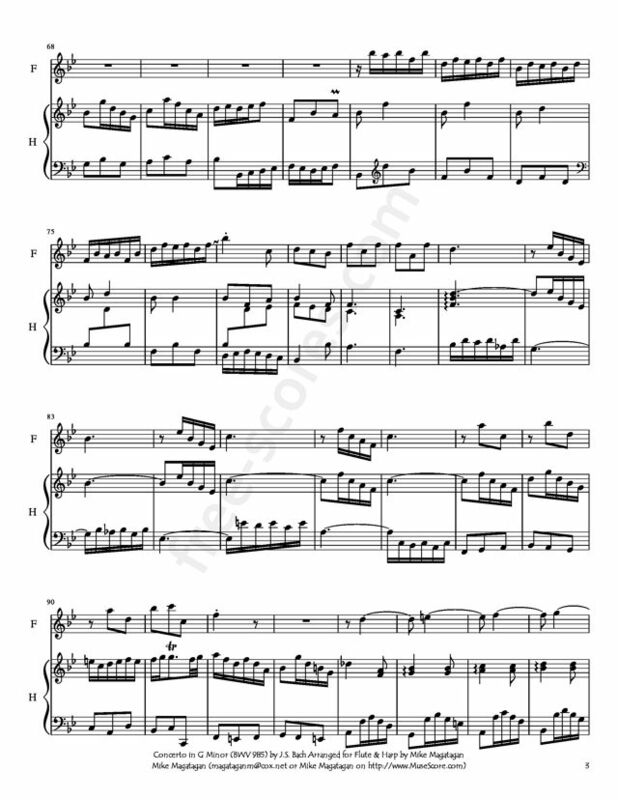 Telemann's concerto for solo violin, TWV 51:g1, transcribed by Bach for harpsichord as BWV 985, comes from the same series of Eisenach concertos as the double violin concerto; moreover, as explained in Zohn (2008), there is evidence that the slow movement of Telemann's oboe concerto TWV 51:G2, also from the series, was borrowed and adapted by Bach for the opening sinfonia of the cantata Ich steh mit einem Fuß im Grabe, BWV 156 and the slow movement of the harpsichord concerto in F minor, BWV 1056, both dating from his period in Leipzig. Telemann also had a documented social connection with Bach: in March 1714 he was godparent at the baptism in Weimar of Bach's second son Carl Phillip Emanuel. 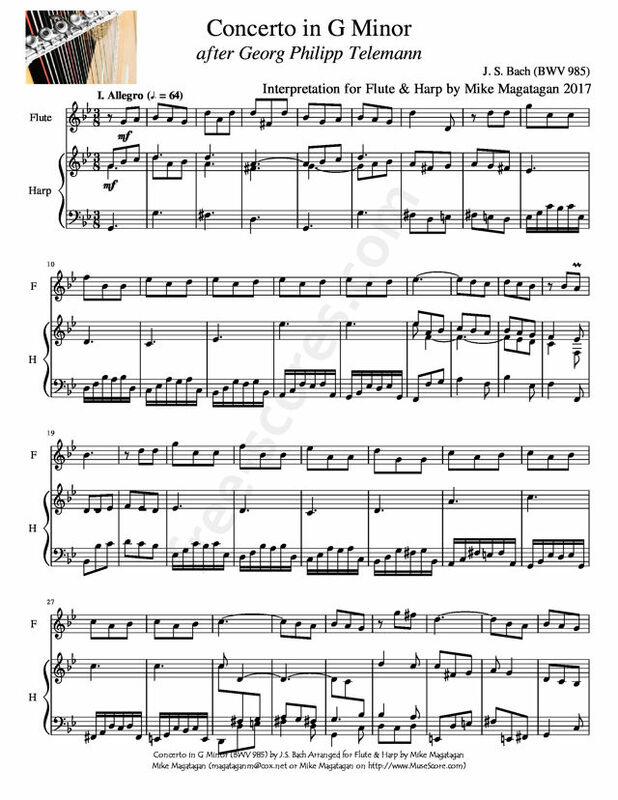 Bach composed his Concerto for Keyboard in G Minor (BWV 985) after Georg Philipp Telemann's Violin Concerto (TWV 51:g21). 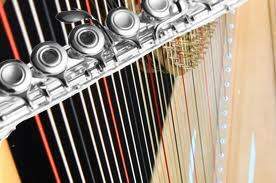 Although originally written for Harpsichord, I created this Interpretation of the Concerto in G Minor (BWV 985) for Flute & Concert (Pedal) Harp. 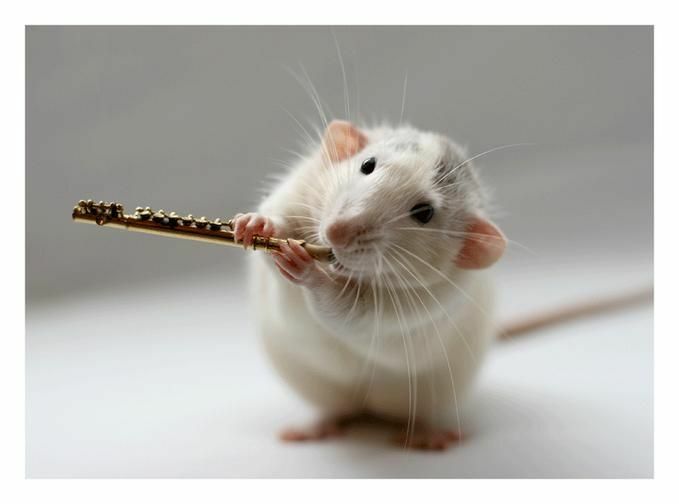 1 scores found for "Concerto in G Minor for Flute & Harp"
4 scores found for "Concerto in G Minor for Flute & Harp"